@rj567 is on Carousell - Follow to stay updated! A notebook or we scientists call it as 'Logbook' where you can organize your experimental and data in this book! Suitable for undergraduate/ postgraduate students!!! 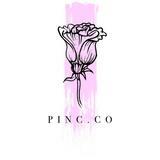 Buy >5 and enjoy special discount from Pinc.co!! !